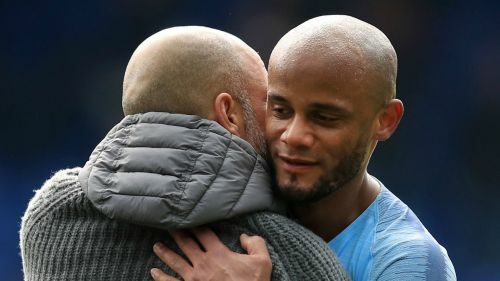 City captain Kompany, 33, is out of contract at the end of 2018-19.. The experienced defender has been at the Etihad Stadium since 2008 and reports earlier this year indicated he will be offered a 12-month extension. No captain has lifted the league cup more than @VincentKompany! The ex-Anderlecht and Hamburg man is confident the deficit can be overturned when the teams reconvene in Manchester on Wednesday.